We’ve grown with the words that we need to work hard. It is okay to work hard, actually it is plausible, but working hard is not enough, at times it feels like punching under water, you never really get to hit what you are aiming for. I believe working smart, compliments the hard work and the results are more refined and effective. The systems have evolved and human beings are edging towards means and ways that will make work easier. 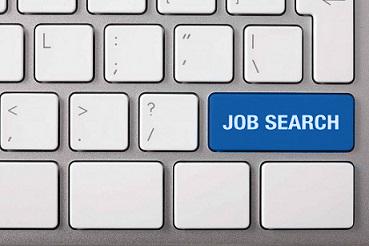 Below are some of Ethiojobs top job search tips that will make your task of looking for a job way much easier. As a job seeker you have to identify your specific areas of interest from the multitude of career possibilities out there. In this modern generation it is very possible to be torn between multiple career directions. There are many who are unclear about what road to take and what opportunities lie ahead, and it is entirely your right to explore different career paths. The risk here however, is that your search and CV will be too broad for either role and you end up with nothing! To conquer this you have to approach each search independently and consequently customize your CV, your Cover Letter and your research activities for a particular search. Do some digging on the target companies. Make sure you thoroughly understand the relevant industry, the competition, the challenges the company is facing and future prospects. I know you are wondering where to get all this information. In this generation information is everywhere, from Google, to industry journals, to trade magazines, and business sections in local newspapers. Get to learn the latest trends of target companies. Thing is, most companies are happy to send you information packages and any relevant information that would help get to know the company more. Also research on the career requirements of the actual position you are applying for. In brief learn to ask relevant questions. This is an undeniable fact; your best source of information is your circle of friends, family, former and current colleagues. One thing you should learn is that most jobs are filled by word-of-mouth referral before they are ever advertised. Take advantage of this and talk to everyone in your circle. Do not be shy in asking for leads, make it known that you are in the market and your intentions are clear. As part of your networking activities, get to build professional relationships, with the thought that you’re searching for “hidden” positions – those that have not been advertised yet or are still in the human resources plans as well as the currently advertised position. This means that your aggressive networking and research will assist you in finding these positions before your competition has even heard of them. In your job searching endeavors, always think of your CV and Cover Letters as your marketing tools. Actually consider them as your introduction kits that will open doors to the next stage of your job search. You should use them reflect what you have learnt about the industry and position through your research and networking activities. Always adjust your CV and Cover Letter for the relevant target and make sure they reflect you in the best possible light. In this case they should be interesting and well-presented. Finally make sure you have different CV’s or Cover Letters if you are exploring different career options. Call to confirm receipt after mailing your CV and Cover Letter. Call again if you do not hear from the employer. You can use this opportunity to ask for an interview. Follow up after the interview with an immediate thank you note. Do not forget to thank the employer sincerely and professionally whenever you can; for their time on the phone, the interview and for every follow up from their side. Even if you do not secure the job, you will be remembered in a positive light and may be called again the next time there is an opportunity. In conclusion, remember everyone you meet in the job search process is a potential client or future employer. As you work hard to look for that job, work smarter too.